Injured Jesus in Barcelona: any moves by Barca? 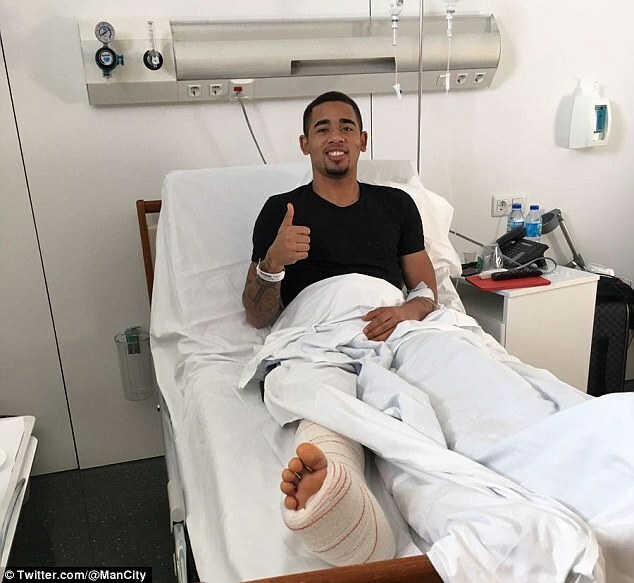 Manchester City star Gabriel Jesus looked in good spirits after undergoing surgery on his broken metatarsal in Barcelona. 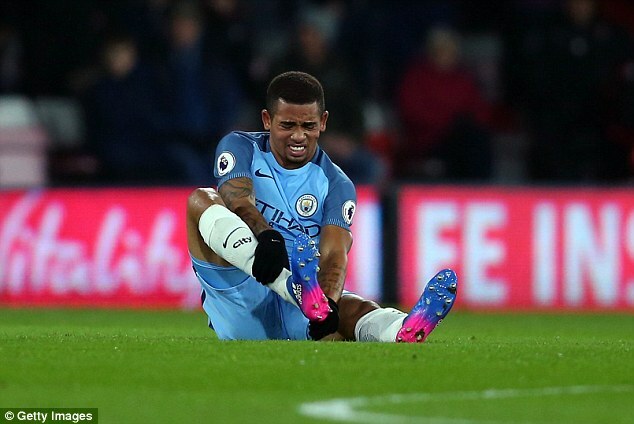 Jesus suffered the foot injury early on in Monday night’s win over Bournemouth and is expected to be out of action until at least April. 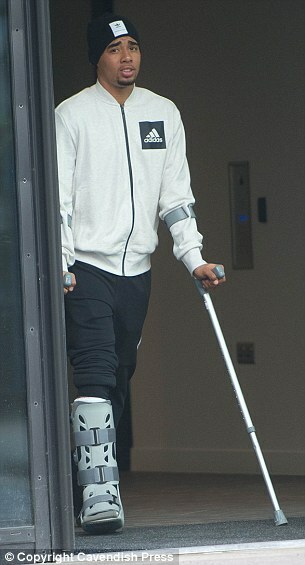 But the Manchester City forward gave the thumbs up from his Spanish hospital bed after his operation. The Manchester City star flew to Barcelona to see Dr Ramon Cugat, who manager Pep Guardiola values as the best in the world. Jesus is expected to miss two to three months with the setback sustained during an awkward twist early in Monday’s win at Bournemouth. Cugat has already overseen treatment for Kevin De Bruyne, Vincent Kompany and Ilkay Gundogan this season. Guardiola has worked with Cugat for more than 20 years after the pair came together at Barcelona. The Catalan has put his trust in the doctor ever since, using him while coach at the Nou Camp and Bayern Munich. 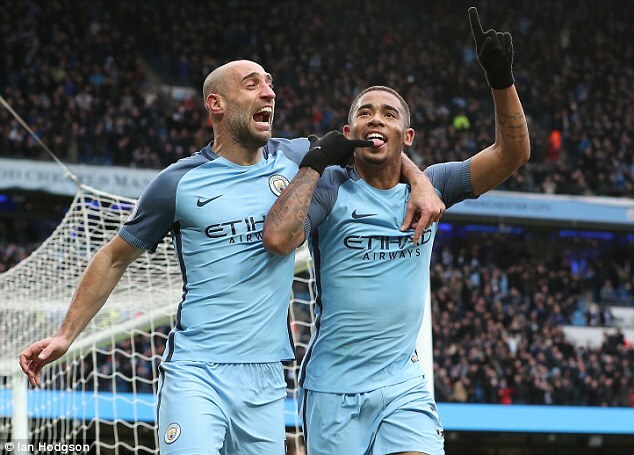 Jesus scored three goals in his first two Premier League starts before City’s trip to Bournemouth, following his arrival from Palmeiras in January for £25million.